Our popular variable speed metal lathe comes with Warco’s exceptional quality as standard. Features include two speed bands to allow maximum torque in the lower speeds, wide variation from 50 – 2,500 RPM and a reversible motor. 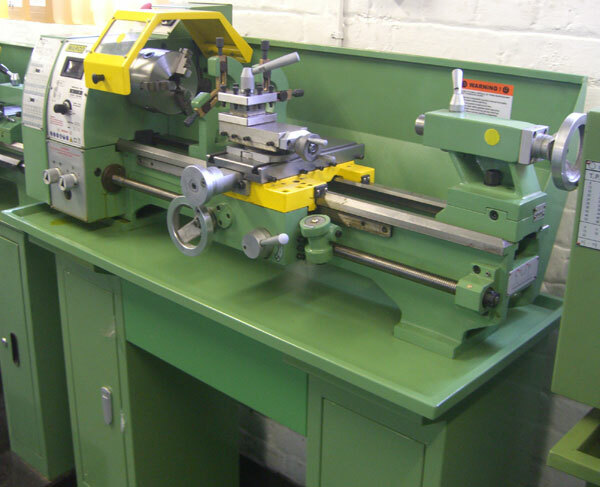 Available in either metric or imperial, this lathe is ideally suited to the model engineer, school or professional alike. The lathe has a double vee bedway which is hardened and ground, and the precision spindle is supported on taper roller bearings. Adjustability levels on this lathe are high, with adjustable gibs to slideways, a reversible motor, offset facility to tailstock and reversible leadscrew for left hand threading. Standard equipment (none of which we will charge any extra for) includes swarf tray, rear splash guard, face plate, three jaw self centre chuck with inside and outside jaws, four jaw independent chuck, fixed steady, travelling steady, safe interlock chuck guard and two dead centres. 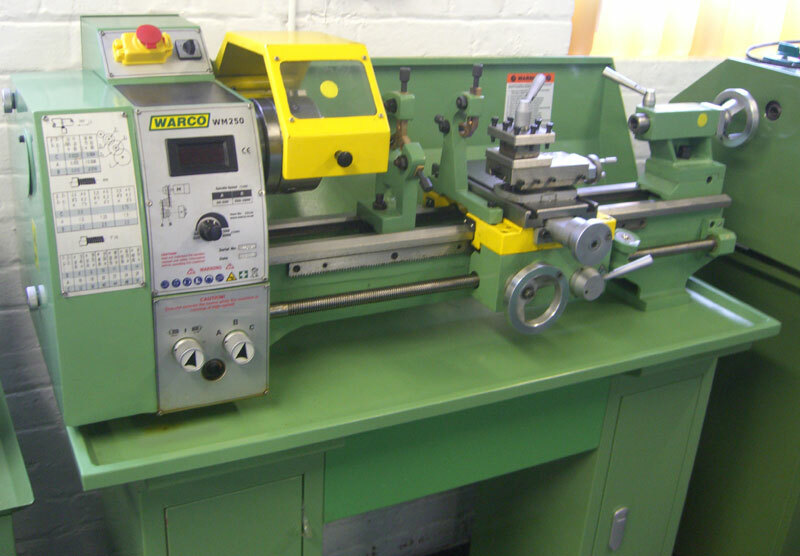 For full specification on this machine, please see the Warco 250 Metal Lathe on our main site, and if you have any questions or are interested in placing an order, don’t hesitate to give us a call. The WM-250 is ideally suited for use with the Warco WM16 Milling Machine.